Some of the most notorious corporations and entities in the world choose WordPress sites including Forbes, Sony and even entertainer Katy Perry. 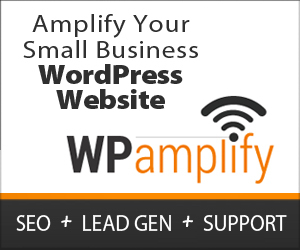 Small and mid-sized businesses also turn to WordPress because it is free and flexible. More than just a host, WordPress offers an array of robust features designed to help companies of all sizes create a visible online presence and build a recognizable brand. Discover what the CEO of WordPress’ parent company, Automattic, has to say about the platform and how it can benefit your business. While you might not know his name, Matt Mullenweg is the creator of WordPress and the CEO of its parent company Automaticc. Recently Forbes spoke to Mullenweg about his enterprise, WordPress as a platform and more. According to Mullenweg, no matter which host you choose, “you’ll still get all the benefits, even if you run it yourself—like easy connections to all the social networks, stats, subscriptions, dynamic images and video transcoding and all the stuff that’s expensive or difficult to do in a distributed fashion.” The company is also working on a new mobile interface that will work fluently whether a user is on a tablet, notebook or desktop. As the mobile market continues to grow, this will be an essential feature for businesses with a WordPress site. Everyone talks about search engine optimization and it almost seems like a mysterious term that keeps changing as soon as you think you understand it. One simple fact about WordPress is it powers more than 75 million websites online today. One of the major reasons companies choose WordPress is because the sites are text-based. This makes them easier for Google to crawl. As a result, your site appears on the search engines more quickly. When people want what your site offers, they are more likely to find it because you choose the WordPress platform. While SEO strategies might change every couple of months, the effective simplicity of a WordPress site has staying power in a volatile online environment. It is easy to see why businesses such as Best Buy and Izod depend on WordPress sites. Flexibility is crucial for businesses of all sizes. The only constant in the business world is change and you want to be ready to make necessary transformations with minimal work. WordPress makes that possible because the platform is very flexible and scalable. Whether you want a website with just one page or 1,000 pages, you can make it happen on WordPress. You will also love your website because it doesn’t have to be stagnant or old-fashioned. Make updates by simply changing your website theme. WordPress offers a wide array of themes. Some of them are free and others can be purchased for a nominal fee. Either way, it is much less costly than hiring a dedicated web designer. Plugins and extensions make WordPress even more versatile. Basically, if you can imagine it, you can create it on the WordPress platform. Nobody wants to choose a platform that is difficult to use or might be out of business in the next couple of years. WordPress users don’t have to worry about either of these situations. Content management is a breeze on a WordPress site. You can update pages and posts on the site anytime of the day or evening at your convenience. You can also schedule posts to appear when you are on vacation or have other business operations to attend to. This makes it possible to constantly update your blog or site, no matter what else is going one. WordPress has been around for awhile and is sure to be available for years to come. There are no concerns that your site will be closed down once you get it the way you want it.